The 4th annual Sport Studies Symposium was held April 24, 2015. In this episode, the symposium participants discuss the ideas raised by the papers given at the symposium. 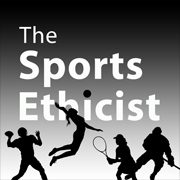 In the first part of the episode, Mike Perry and Shawn E. Klein talk with Matt Adamson, Stephen Mosher, and Synthia Syndor about the nature of sport studies,its past, and its future. In the second part, Shawn and Mike talk with Aaron Harper, Stephanie Quinn, and Zach Smith about legal realism and sport, sport in the ancient world, and theology of sport. 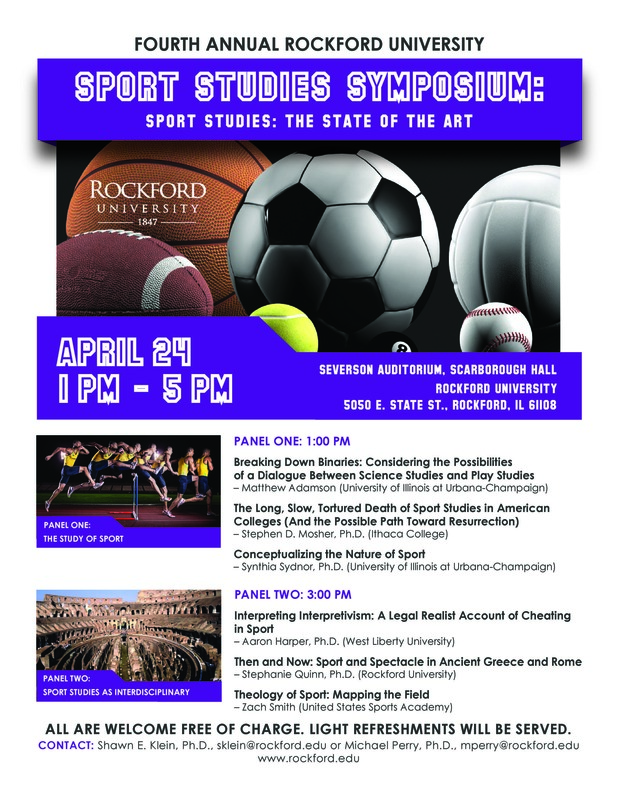 Rockford University is hosting the Fourth Annual Sport Studies Symposium on Friday, April 24, 2015 from 1:00pm to 5:00pm (CT) in Severson Auditorium, Scarborough Hall. The conference is free to attend and light refreshments will be served. Follow this link to shop at Amazon.com. A portion of the sale will help me run this site. Follow this link to shop at Amazon.com. A portion of the sale will help run this site.